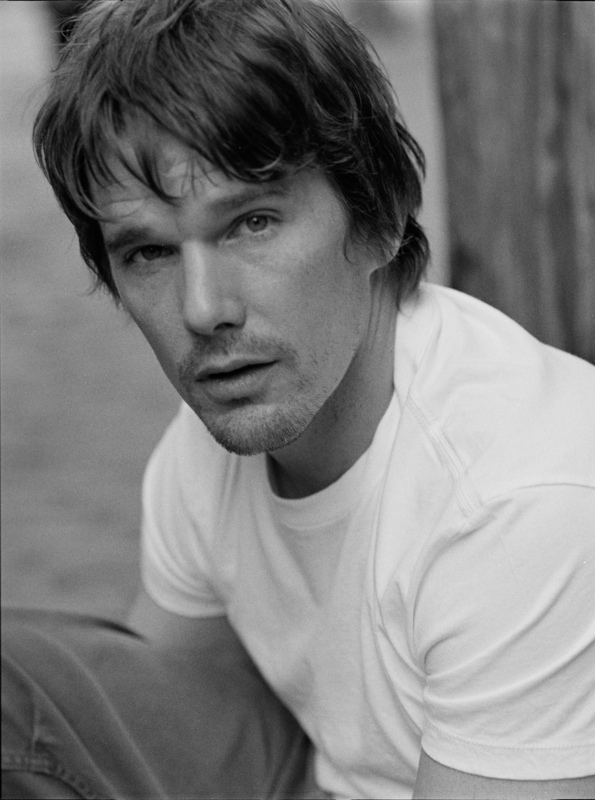 Actor, writer and director Ethan Hawke has taken time out from his role in the Cherry Orchard directed by Sam Mendes at the Old Vic to record for a new feely book produced by the award winning charity Living Paintings. 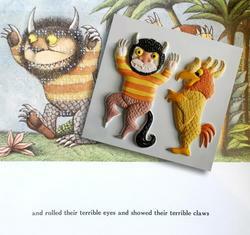 This is for young blind members of their free library and it’s called “Where the Wild Things Are” by Maurice Sendak. This beautiful book is a big favourite with children on both sides of the Atlantic. President Obama read it to a delighted group of youngsters on the White House lawn in April 2009. Ethan’s job is to explain the pictures that are not in feely form, and guide little fingers over the raised images. Living Paintings feely version with Braille of "Where the Wild Things Are"
Actor, writer and director Ethan Hawke has taken time out from his role in the Cherry Orchard directed by Sam Mendes at the Old Vic to record for a new feely book produced by the award winning charity Living Paintings. This is for young blind members of their free library and it’s called “Where the Wild Things Are” by Maurice Sendak. This beautiful book is a big favourite with children on both sides of the Atlantic. President Obama read it to a delighted group of youngsters on the White House lawn in April 2009. Ethan’s job is to explain the pictures that are not in feely form, and guide little fingers over the raised images. All Living Paintings books are loaned for free through a postal library. This takes tales like this to children all over these islands, and sometimes further afield. These books can also be shared with friends and family who can see because the feely pictures are coloured in and story is there in the original words and in Braille. To join this free library all you have to do is call 01635 299771 or go to the website http://www.livingpaintings.org. Attached is a picture of one of the special “feely” pictures in the book. For further information and pictures of Ethan Hawke please contact Paul Hannon, Communications Officer, Living Paintings on 01635 299771. Blind Children hear about this free library thanks to newspapers who include news stories about it. So however brief your coverage, we are really grateful. Thank you.